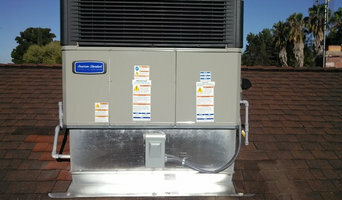 Bell Brothers is the leading HVAC company in the Sacramento and surrounding area. 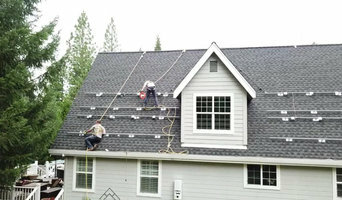 We service all cities within Yolo, El Dorado, Sacramento and Placer Counties. Our Business model is simple, our clients come first. We believe a positive work environment makes happy employees who will treat our clients like Family. We offer HVAC Maintenance, Heating and Air Conditioning repair or replacement. 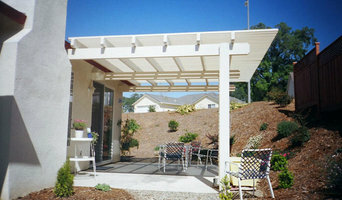 We are a licensed contractor for heating and air conditioning in the Greater Sacramento area. We have been in business since October 1981. Bob Kennedy is the owner, and although we have 9 employees, we work like a family. In fact, many of us actually are family! Bob and Rita Kennedy have groomed their daughter Jennifer to take over the company while they enjoy semi-retirement. Eric Walden and Steve Lopez have both been working for us for over 25 years. We like to think of ourselves as a ‘family owned business’ even though we are a corporation. We have a service department separate from our installation department, separate from our office staff. What this means for you is that if you have a concern, the proper person is going to be able to take care of you right away. Our goal is not only complete indoor air quality and comfort, but to keep you as a customer for life. Almost all of our business is from referrals. 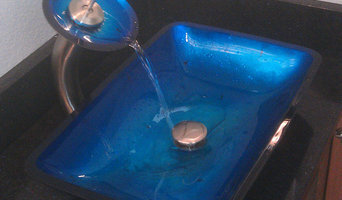 We take a low-pressure approach to sales, installation, and service; which people seem to like! Bonney is the Greater Sacramento Area’s best full-service plumbing, heating, air conditioning and sewer & drain company. 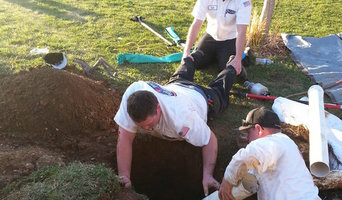 We do it all, from trenchless sewer replacement & tankless water heaters to HVAC & drain cleaning. The Bonney team works hard to provide professional, reliable and affordable services for our residential and commercial customers. Call us today to find out why so many people consider us the best plumbing company in Sacramento, California. Air Conditioning, Heating, Solar, Home Performance Contractor. As a resident in the sunny and oh-so-hot California, I appreciate the comfort in the home as a way to escape the heat during hot weather. For the past 15 years I was actively working with HVAC and I enjoy bringing comfort of perfect air to my clients. I really wanted to provide high quality service that would be honest, responsible, and personable to my customers. Thus, in January 2013, Comfort Expert Heating and Air Conditioning was envisioned and started as a small family owned company. With a purpose to provide you with the highest customer service experience, ensuring the health of your budget and HVAC system, Comfort Expert Heating & Air is the answer to your HVAC needs. Please contact us and we will do our best to help! Pure Cold Refrigeration has been the leading emergency hvac contractor in the Elk Grove, California area since founded in 2004. We specialize in all forms of general heating and cooling services for your convenience. We strive on doing quality work done right the first time. If you are looking fro professionals that provide honest and realiable service, at a fair price call Pure Cold Refrigeration. We are a small HVAC company based out of Sacramento with the idea of local businesses providing quality service and professional advice to the residents of the greater Sacramento area. Serving Sacramento, Placer and El Dorado Counties since 1981, American Energy Air has helped tens of thousands of your neighbors keep cool. A+ rating from BBB, dozens of five star reviews. Let us help you! My focus 100% is on quality and providing a 5 star experience for all of my clients. I never cut any corners on the work that I do, even if it ends up costing me more money to do it the right way. I stand behind my work for a full 3 years. We are a fast growing, family oriented Geothermal HVAC company that seeks to serve our customers by delivering efficiency, safety, affordability and comfort! Rocklin Heating and Air is your full service heating and air conditioning repair company based in Rocklin and now serving both the I-80 and US 50 corridors! We provide low-cost, expert air conditioning and heating repair and installation solutions for homes and buildings atop the platform of old-fashioned honest, reliable, and distinctive professional service without the sales gimmicks and tricky flat-rate scams flooding today's marketplace. Why should you hire a heating and air conditioning contractor? At home, Australians use, on average, 40 per cent of energy on heating and cooling, so it’s wise to seek expert advice from a HVAC contractor in Sacramento, CA on the most economical systems and models for your home. Your climate, the type of model you use and where you position it, for instance, will make a big different to your home’s comfort and how much energy you use. A HVAC contractor can also advise you on the best reverse cycle air conditioners, heat pumps, hydronic central heating and gas heating. Should you or anyone in your family suffer from allergies, they are also knowledgeable of the best anti-allergen filters and will be able to change your air conditioner’s filters, clean ducts or remove any debris around units. Other areas of expertise include refrigeration work, pool heating and dehumidification. Find heating and air conditioning contractors on Houzz. Look in the Professionals section of our website and search for Sacramento, CA Heating and Air Conditioning contractors. Read reviews and see how a HVAC contractor might approach your Sacramento, CA home’s heating and cooling challenges. Here are some related professionals and vendors to complement the work of heating & air conditioning contractors: Specialty Contractors, Building Project Managers, Solar Power Contractors, Electricians.